"Generally origami uses faper with different colored paper sides so that the origami artist has the possibility to colorize the finished object by folding in a calculated way. 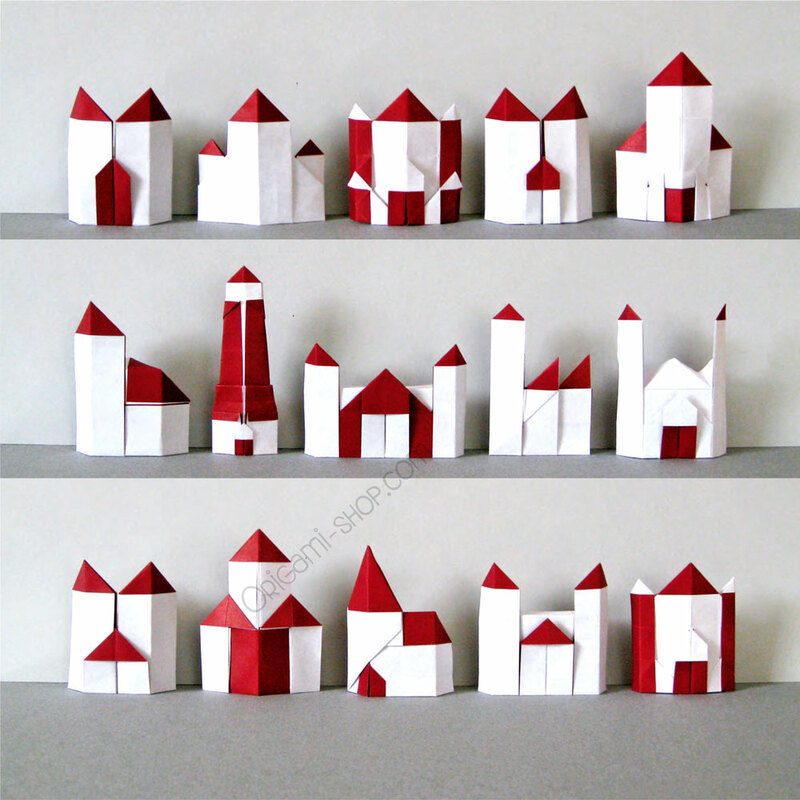 Houses that provide white storefronts and colored roofs therefore represent interesting subjects to include this special folding technique called color-change. The shape itself of a geometric origami object is best realized by the so called box pleating method. 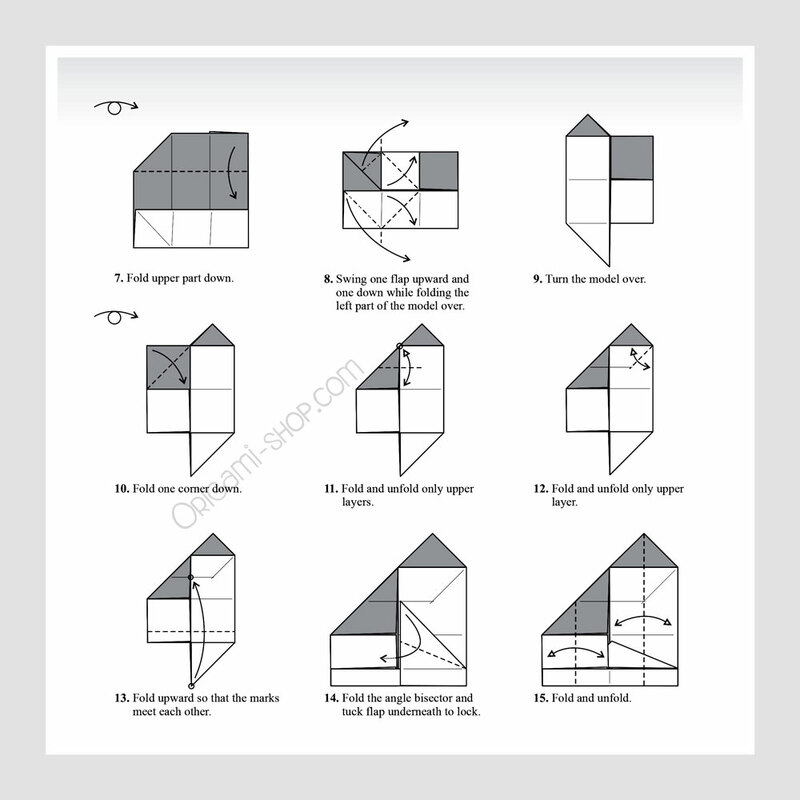 Hereby the paper is devided first by horizontal, vertical and diagonal creases that can be used further to create rectangular and triangular shapes. By changing the direction of folds, color-changes are easily to include which gives the model its special kick. Variation in the initial devision of the paper (fourths, fifths, etc.) increases the number of possible designs that gives stimulus to explore. 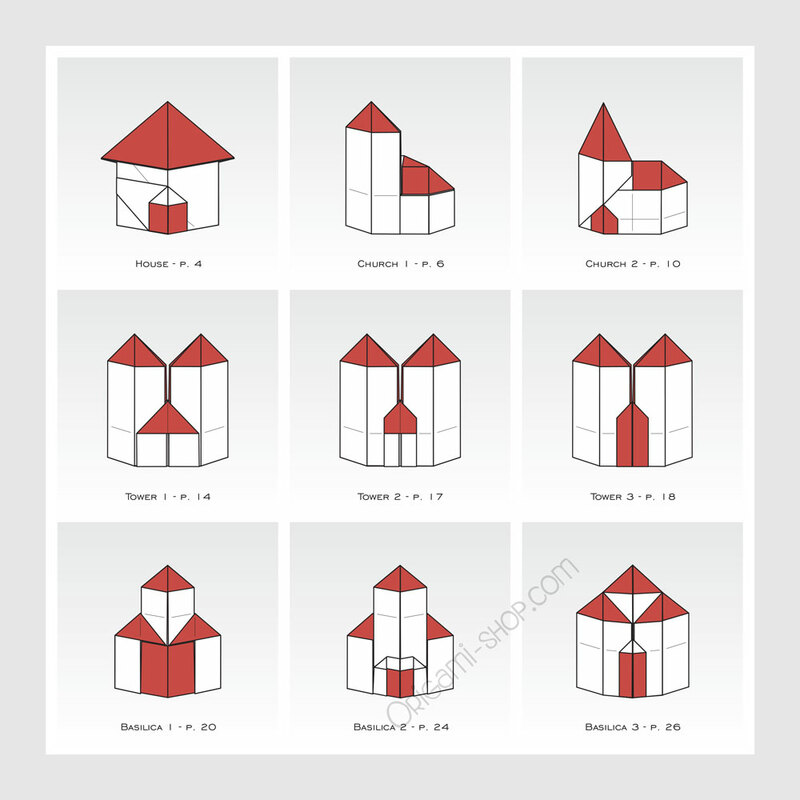 After someone has understand the rules and priciples of folding different colored roofs and doors, the next step could be to invent new models by his own ideas of buildings. This will turn out quickly as an inspiring folding riddle. Perhaps you will get infected too bythis puzzle game. 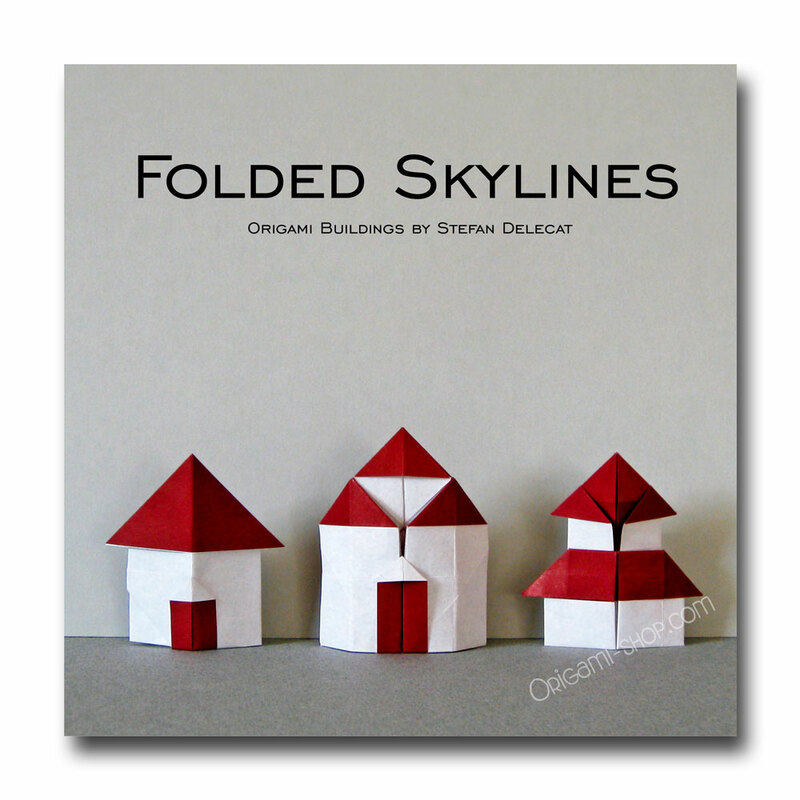 All models 0f this book can be folded out of duo-colored craft paper or common origami paper by 6 or 8 inches (15 or 20 cm) in size." Un ouvrage très intéressant sur la méthode pour réaliser plusieurs bâtiments différents. Un pl... (Lire la suite)aisir de faire son petit village. D'un niveau facile à quelques pliages intermédiaires. Ce petit livre présente un ensemble de bâtiments divers, renouvelant les pliages de maison traditi... (Lire la suite)onnels. 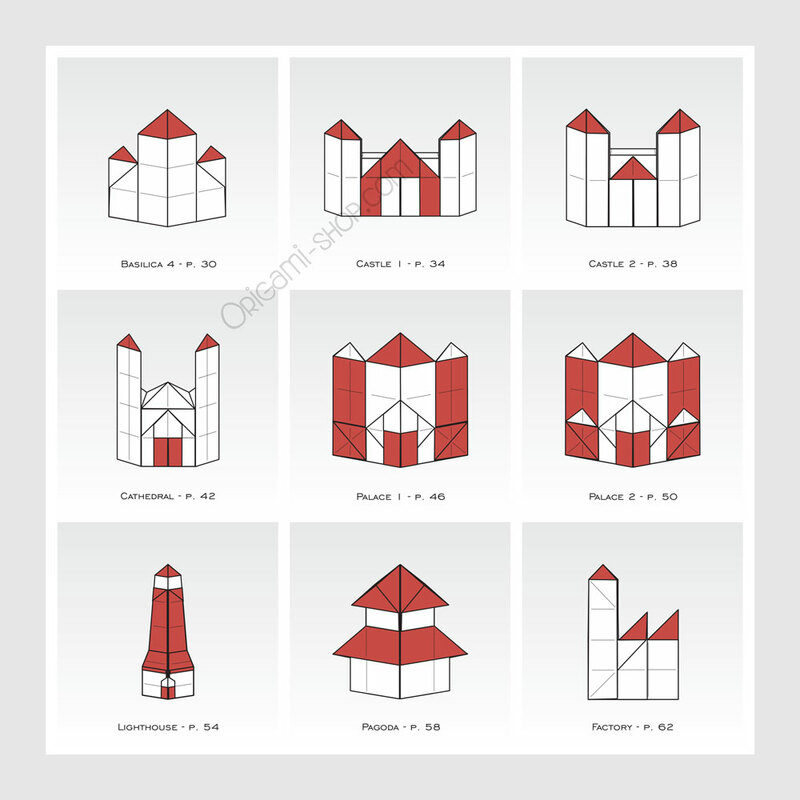 Tours, églises, châteaux, pagode, jusqu'à un joli phare, de quoi passer des heures pour construire de nouvelles villes. Accessible à toutes et à tous, c'est certainement une base pour des activités de groupe, particulièrement les enfants.